Volunteer and get involved in vital environmental conservation projects in either New South Wales or Victoria territories in Australia. Founded in 1982, these projects have the environment at the heart of their mission which is to protect, preserve and restore Australia’s unique and natural beauty. Much of the land is owned by the government and because Australia is so vast, additional manpower is needed to protect habitats across the country. On occasions, the organisation is given or gifted land to manage in recognition of their expertise in the field of environmental conservation. Typical work undertaken by the project includes preserving habitats, coastlines, planting trees, clearing rivers, restoring pathways and fixing fences. The work takes place in urban and rural areas, depending on the needs of the project. If you are passionate about the environment and are keen to help to restore and protect natural habitats and green spaces come and join us in Australia and be a part of this amazing conservation project. 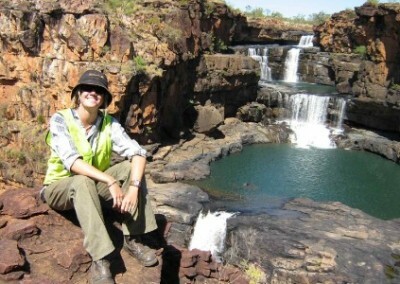 Gaining a well-rounded experience working in different areas of Australian territories and work on a variety of conservation activities and projects. Discover the wild and beautiful Australia while learning about local environmental challenges. Planting trees in locations like Tidbinbilla Nature Reserve as part of the ongoing recovery for wildlife and habitats following the 2003 bush fires in New South Wales. Nhulunbuy, East Arnhem Land is the scene of this once in a lifetime Crazy Ant project. Volunteers help scientists and indigenous rangers to bait and monitor this introduced invasive ant species in Australia’s Northern Territory. Volunteers will take part in varied activities which may include environmental monitoring, heritage restoration, tree planting, endangered species protection and habitat conservation. There are no specific skills required to participate in these projects but you must have a love for the outdoors. Volunteers should be prepared to live and work as a member of a team and a positive attitude is essential. We also advise that you have a reasonable level of fitness in order to take part in all activities. The projects take place in either Melbourne area or New Castle area. There are coastal areas, forests, the outback, river basins, mangroves and more, where work is taking place. If you are planning to combine your trip to Australia with independent travel this is a great opportunity for you to explore before or after your environmental conservation volunteer placement. Why not visit Alice Springs in the Northern Territory, go sailing in Western Australia, explore the Great Barrier Reef in Queensland or explore Sydney in New South Wales. Wherever you chose to go you are sure to learn more about this fascinating country, its people and environment. Choice of locations: New South Wales or Victoria. Please speak to a Kaya Advisor to learn more. Project activities: varies by location and time of year- tree planting, walking trail construction, seed collection, weed control, fencing, heritage restoration, beach clearing and disaster relief. Please speak to a Kaya advisor to learn more. Project availability: start every Friday and run all year round. Project closed for Christmas. Food: 3 meals a day and weekends. Volunteers help in the preparation of food.